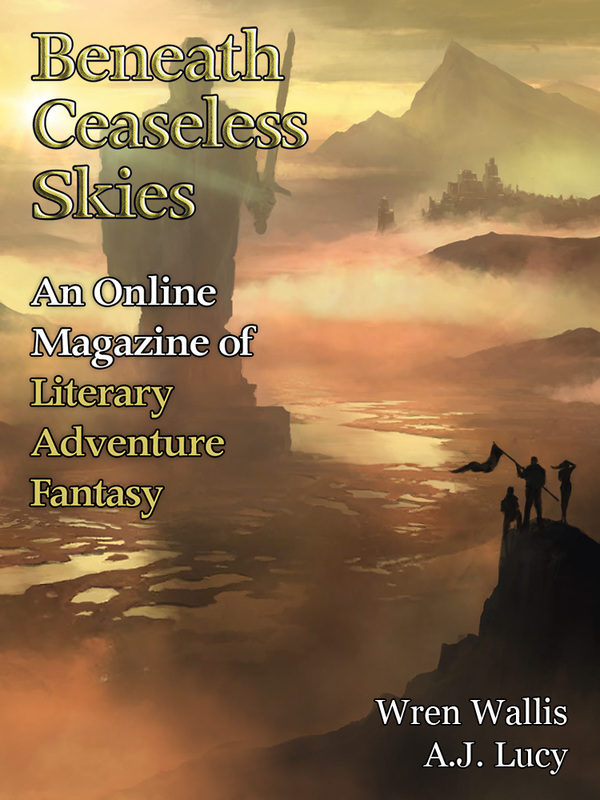 "Two Bodies in Basting Stitch," by Allison Jamieson-Lucy [bio] (edited by Scott H. Andrews), appeared in Beneath Ceaseless Skies issue 227, published on June 1, 2017. Pro: In a lot of ways, this is really the story of how Tashet decided that she really did love Sere and that she’d sacrifice everything for her. It’s very touching at the end. Life-lacing is an interesting idea. Con: Life-lacing is too-good-to-be-true. You get to be young and you get to spend twice as long with your lover. This is really Tashet’s story, but the focus is all on Sere, who causes the problem and then essentially waits for Tashet to fix it. I found the relationship a little hard to believe in. Sere is keeping such a huge secret from Tashet. Until the end, Tashet's absorbed in her work, then cold and angry. For life-lacing being such an unbreakable bond, I'd think there'd be more of an ongoing connection. Like having an idea of where the other was when apart and sensing their emotions and physical pain.